Apparently, Bank Street Brewhouse, New Albanian Brewing Company’s downtown New Albany tap room, once again has a food menu. But before you start to salivate while thinking about pommes frites in a Pavlovian frenzy, know that the “menu” is, shall we say, somewhat limited. Posts by Roadtrippers.com and other sites revealed this new food offering this week, which is in response to Indiana state law requirements. Per IC 7.1-2-3-7 and 905 IAC 1-20-1 (or something like that), establishments that serve alcohol by the drink in Indiana absolutely, positively must have food service available at all times that can serve a minimum of 25 people. That law, which is nearly 70 years old, also pertains to Bank Street Brewhouse, which ceased food service in May. And so, to avoid having the law dogs descend upon the small brewery and tap room with citations and decrees and axes, Bank Street management has added a food menu that adheres to these state requirements. Food is once again available at the tap room. 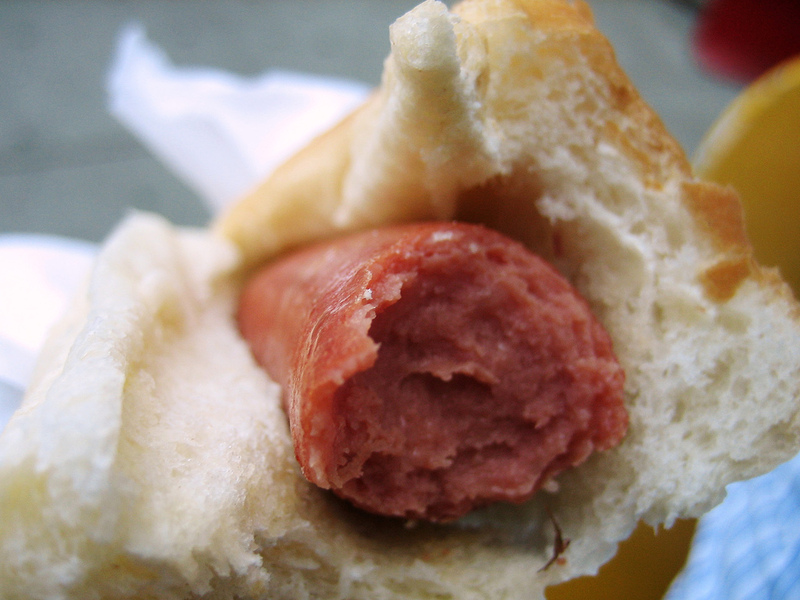 Our Famous Hot Dog Sandwich: Microwaved to perfection, including both weenie and bun, sans condiments. $10. Chef Campbell’s Soup of the Day: Served in a bowl. Your choice of whichever can is on top of the stack. $10. Instant Coffee: Caffeinated only. Available black, or black. $5. Powdered Milk: With or without water. $5. Sprecher Craft Soft Drinks: Different flavors … market pricing. If you are scoring at home, that’s Bank Street Brewhouse 1, Big Government 0.